Here’s my reaction to yesterday’s Autumn Statement by the Chancellor, and its impacts on 7C investors. 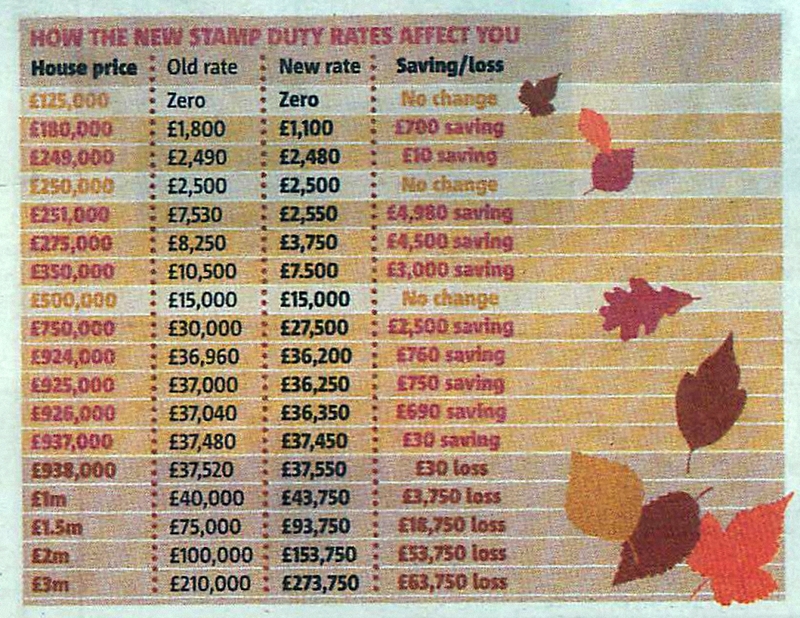 I’m a fan of Osborne and his handling of the financial crisis, but my admiration didn’t increase with yesterday’s reform of Stamp Duty. Yes the “slab” system needed fixing, and yes the young need support to get on the housing ladder, but I now appear to be trapped in my mansion. “Lower tax for 98%” is the official line, and the media seem to have swallowed it, but no prizes for guessing where the other 2% live. I’ve had my ordinary terraced house in London for 20 years, and I’m fond of it, but I did hope to move on someday. Now it would be cheaper to decorate inside and out, convert the loft and dig out my cellar than to swap dwellings. Poor liquidity is a big problem (along with lack of supply) in the housing market, and I can’t see how a marginal tax rate of 12% on transactions will help that. I do hope that the bands are indexed, or we will gradually see property gridlock in central London and the next ripple out from the centre will be even less welcome than the usual price inflation. £150K is a lot of money to a pensioner. From 3rd December, surviving spouses will get a one-off ISA allowance equivalent to the value of their deceased spouse’s ISAs, so that they can shelter them if they wish. 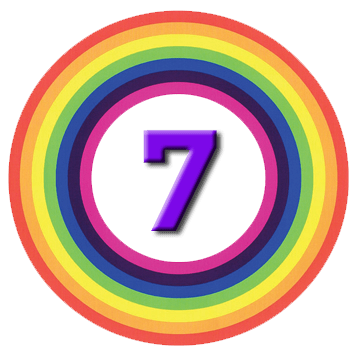 This brings ISAs into line with pensions (where the deceased is under 75). The ISA limit is also increasing to £15,240 on 6th April 2015. This will be introduced from April 2016 at a minimum level of £7,865. The tax-free personal allowance will rise from £10,000 to £10,600 in April 2015. The basic rate band reduces from £31,865 to £31,785 which means that the higher rate threshold goes up for the first time in this parliament, from £41,865 to £42,385. This will mean an end to the solar and wind VCTs of recent years. Corporate villains such as Google and Amazon were hit yesterday (we’ll see if the planned tax is implementable) but of more direct relevance to us was the halving of loss relief for banks, which is likely to cost £3.5-4bn over the next six years. It’s probably a good idea to steer clear for now, and the same has been said of other political targets like tobacco stocks. Disclaimer: this is very much a case of do as I say not as I do, since I hold several banks and a couple of cigarette firms. 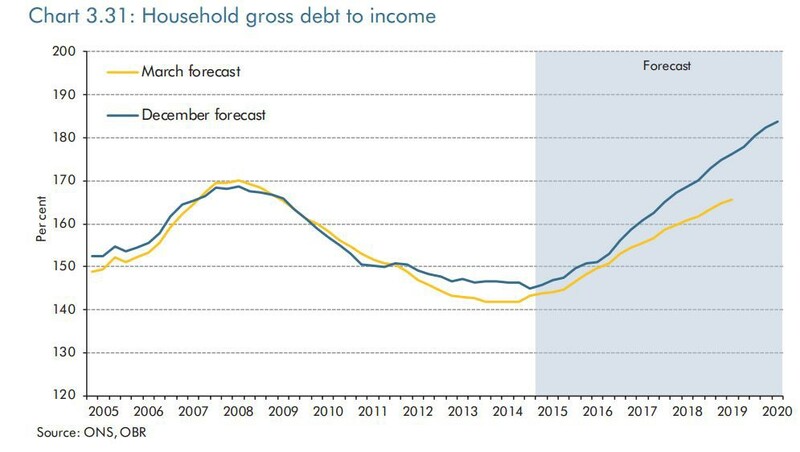 Meanwhile, residential investment grows strongly, leaving households’ finances in deficit and the gross debt to income ratio rising well above its pre-crisis peak by the forecast horizon. That seems consistent with supportive monetary policy and other interventions (such as Help to Buy), but it could pose risks to the sustainability of the recovery over the medium term. Not difficult to imagine this ending in tears when interest rates finally rise. 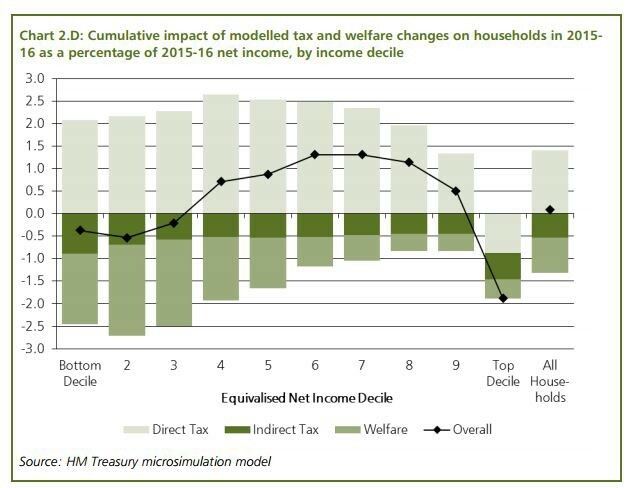 Another chart from Sky, and probably something that won’t hit the front page of the BBC website in an election year: austerity hits the rich the hardest.